It's that time of year that everyone is putting together their predictions for 2009 and so I decided to do one of my own. Over the past year I've had the opportunity to work with a variety of music startups. Not only with the two music startups I've been directly involved with (Anywhere.FM and imeem), but also countless music startups looking to leverage the imeem Media Platform APIs I manage at imeem. Based on what I've seen, there are three music verticals that I am bullish about and 5 exciting startups that have started to pursue them in 2008 and expect to see much more from them in the new year. Music gaming has benefited from renewed traction in recent years. The current explosion can be attributed to the tremendous success of both Guitar Hero (2005) and Rock Band (2007), but we can't forget the earlier successes of Dance Dance Revolution (1998) and even further back with Parappa the Rapper (1996). What's most exciting about it this time is the size of the opportunity. The Guitar Hero franchise alone has seen over 14M units sold generating $1B in sales in North America. On top of that they have seen over 5M song purchases. And for the first time ever Beatles music is actually available digitally through Rock Band (even though the Beatles have classically refused to make their music available on iTunes, music streaming services, etc). In 2008 we started to see what the next generation of music gaming will look like. 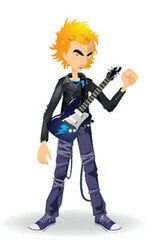 JamLegend is best described as a web based version of Guitar Hero. Not only have they done a great job of recreating the fun of Guitar Hero on the web and your computer, but they've opened up the opportunity for very interesting web-based additions. One exciting opportunity for them is continuing to build out their massively multi-player capabilities, tournaments, and leaderboards. At the same time the ability to eventually crowd-source all the tracks and build the largest library of playable content will be key. JamLegend could become the newest form of music promotion for artists and both indie and major label artists will be looking to take advantage of this latest phenomenon. Ocarina is by far the most clever music game I've seen to date. Ocarina is the first true musical instrument created for the iPhone. Simply blow into the microphone, press down on the four keys, and you're playing beautifully sounding music through your Ocarina. And the social experience is great as well, since you can click on the world map and see who else is currently playing their Ocarina across the globe and tune in to enjoy their music. I'm excited to see these guys expand to actually hosting concerts, recorded videos, and even more instruments. Rock Legends is the latest social game from Serious Business, the startup that created the Friends for Sale social game on Facebook. This time around a user starts a rock band, picks what kind of rocker they want to be, and recruits others to join their band. It's a social experience complete with playing gigs, battle of the bands, and more. I would be excited to see Rock Legends integrate JamLegend style playback into their game to tie the best of music gaming together. Another space in music that continues to be attractive is live events. Unlike the ongoing decline in CD sales and the slim margins of digital downloads, concert tickets sales continue to enjoy high margins and make real money for the artist. Yet there continues to be unsold seats at the majority of events. There clearly continues to be an opportunity in 2009 to more efficiently bring fans to see their favorite artists at live events. 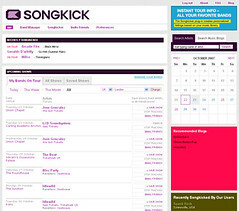 While there are a lot of players trying to tackle this space, I'm most excited by the work SongKick has done. In a little over a year they have built a comprehensive concert listings engine and database. It's no easy task as very few clean feeds exist out there from venues and ticket providers. Most recently they've been doing a lot to build out their website experience to make it easy for fans to find when their favorite artists are coming to their area and even recommend artists you may enjoy. With a new round of funding, it will be interesting to watch how they expand in the new year. What I am most passionate about are those out there seeking to dis-intermediate the major record labels. The major labels have been unable to come up with any significant revenue stream to offset their losses in CDs and unfortunately it hasn't been due to lack of technology innovation. They have for the most part failed to support the most creative entrepreneurs out there by making it very difficult for them to get access to legally licensed content. As many have recognized, its time to move beyond them and seek to establish relationships directly with artists and their fans and either create the next generation record labels or remove the need for labels entirely. 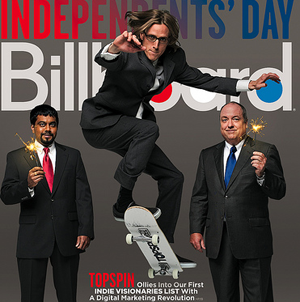 Topspin Media is the most promising startup in this space. Topspin focuses on providing tools to artists to make it easy for them to communicate directly with their fans through a web presence, email distribution, and more. Topspin has started by smartly focusing on super-fans who are willing to devote time and money to engaging with their favorite bands through premium purchases, subscriptions, etc. I hope to see Topspin unveil additional products in the coming year and expect both its artist and fan footprint to grow substantially.